Con Brio has commissioned a new work from composer Ronan Guilfoyle, one of Ireland’s best known jazz musicians. 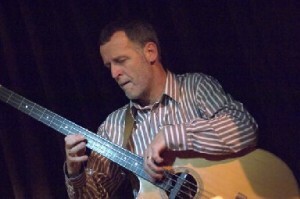 He studied bass and improvisation with Dave Holland in Banff, Canada, and as a bass player he has performed extensively in Europe, Asia and the USA. As a composer he has written music for theatre, television, film and numerous jazz ensembles as well as for orchestra and chamber groups. Ronan Guilfoyle was elected to Aosdána, Ireland’s state-sponsored academy of creative artists, in 2003. The new work will be played by Catherine Hunka and Dermot Dunne on February 26th 2010.